We at We Will Transport It can help you or your company move one or many vehicles with containerized freight hauling. We have professional fully insured, bonded, and licensed drivers that specialize in auto freight hauling and a list of transport companies that specialize in shipping vehicles. Containerized freight hauling consists of using containers to ship goods or vehicles from one place to another via semi-trailer trucks, container ships, or rail transport flat cars. It is an excellent choice when you have to move multiple cars and want them secure. Intermodal containers are used in freight hauling and they are made in lengths of 20 or 40 feet. Height and width is set at eight feet six inches or nine feet six inches in the case of High or Hi-Cube containers. The container handling system is mechanized. Containers are recorded and traced via computers and all containers are moved with a crane. 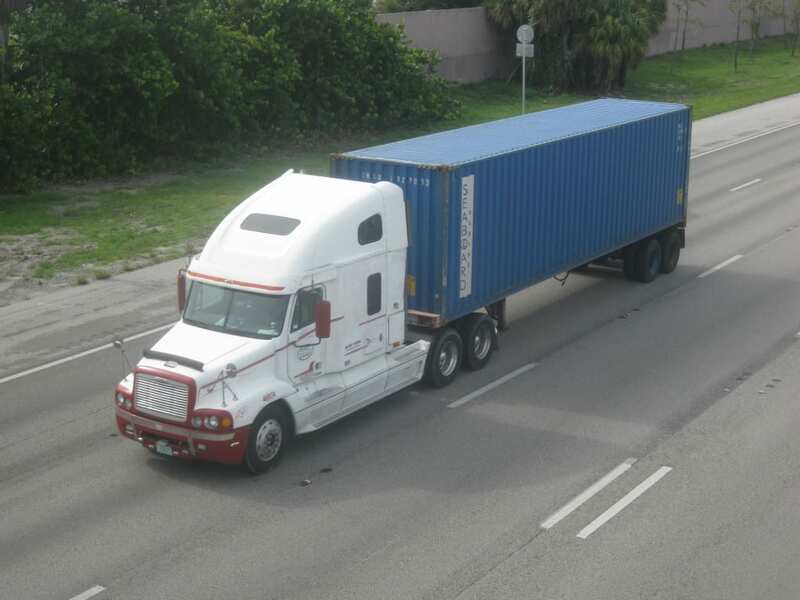 Why Chose Containerized Freight Hauling for Shipping Your Vehicle? There are many reasons why containerized freight hauling is a good choice. Little or No Damage – Vehicles packed and sealed in a container, so your car will suffer little or no damage. Less Labor – Cost of labor is less because your vehicle is only handled when it is packed into and removed from the container. Reduced Handling – Your vehicle will not be handled during shipment because it is secured in a shipping container. Flexibility – Your container can go almost anywhere from ships to trains and trucks to barges. It is easier to move a single container than a whole bunch individual vehicles. Reduced Chance of Theft – Because your vehicle is sealed in a container, you can store stuff in your vehicle and not worry about theft. Speed and Savings – Containerized freight hauling is a relatively quick and inexpensive process. Cranes can move containers quickly from one vehicle to the next so that your container does not spend much time idle. Roll-on / roll-off shipping involves moving your vehicle to a port via open car transport or another trailer type of oversized vehicles. Then the car is taken off the open car transport or trailer and driven into the lower portion of a container ship. When transporting your vehicle over water via container ship, roll-on / roll-off shipping is the least expensive method. However, when looking at the advantages of containerized shipping above, you can see that your vehicle will be much more secure in a container. Also, if you need to ship personal items and furniture along with your vehicle, it is possible to fit everything in one container and keep it secure. Many auto transporting companies will not allow you to place personal items in any vehicle that is not enclosed in a container due to issues with theft and because the vehicles needs to be clear in order for drivers to safely drive them from one location to the next. We at We Will Transport It will make sure your every containerized freight shipping need is met. In addition to having a team of excellent professional drivers, we also come up with a list of containerized freight hauling companies that can help you when we cannot. Please do not hesitate to contact us.